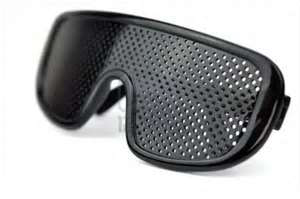 Nowadays defective vision is a common problem affecting many people all over the world. It’s mostly occurring due to the fact that we are now overworking our eyes by reading on phones, ipads, computers, moving trains, buses or cars. Reading in poorly lit places with lighting that’s either too dim or too bright, watching too much television, and following faulty food habits can also negatively impact your eyes. Hence, people wear spectacles to rectify all cases of defective vision caused by permanent changes in the eyes. Many times, people are deceived when it comes to the reasons as to why they are experiencing vision issues. One common misconception is that the eyeball changes its shape and alters your vision. Yet, the eyeball cannot physically change shape unless the skull is cracked or the eye socket/eyeball is damaged through physical trauma. What actually happens with your vision is the lens muscles are getting out of shape as result of lifestyle choices. The three chief causes of defective vision are MENTAL STRAIN, POOR DIETARY CHOICES, and IMPROPER BLOOD AND NERVE SUPPLY. Mental Strain: Stress, overexertion, lack of sleep, anxiety, and other lifestyle factors can play a role in deteriorating conditions of the eye. Poor Dietary Choices: a diet laden with junk food, fast food, fatty sugars, and refined carbs is not balanced and lacks the vital nutrients and vitamins needed for proper eye function. While using the Eye Kit, you will notice that the anti-oxidants protect the body from free radicals, and promote cellular health and cellular regeneration as well. The pinhole glasses are also instrumental in eliminating the stress and strain caused by glasses, while providing the cellular nutrition necessary to make the outer tissues of the eyes soft and permeable. In conjunction to the six formulas, diet regimen, and eye accessories, we have also included several proven eye exercises that will help strengthen your eyes, and improve your vision. 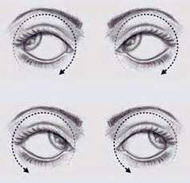 Most people don't realize that the eye is a muscle, and just like any other muscle in the body, if it is not properly exercised it becomes weak and begins to lose functionality. Accommodation is the ability of the eye to change its optical power so that it can focus on objects that are either close, or far away. By exercising the eye, you will encourage your body to not only help increase the eye's strength, but also its efficiency. What Does The Eye Kit Consist Of? When your eyes are rested, cleansed, and well cared for, your vision feels crisper and your eyes feel more comfortable. * Vegetarian capsules (100 capsules). This product compliments our Cardiovascular Formula. * Vegetarian capsules (100 capsules). This formula has been specifically formulated to help nourish the organs, systems, fibers, vessels, and tissues of your entire body. * Vegetarian capsules (100 capsules). Contains herb-based omega-3 essential fatty acids, which your body needs for optimal health, development, and functionality. This formula is especially vital in maintaining a healthy brain, heart, blood, and colon, as well as healthy, well-functioning joints. Omega-3s are particularly necessary for healthy fetal development during pregnancy, and are considered helpful in maintaining healhty emotional state. * Vegetarian capsules (100 capsules). In the early 1900's Dr. William Bates stopped prescribing glasses to his clients after noticing that their eye problems got progressively worse after wearing the "eye crutches" (eyeglasses). Dr. Bates was a very successful and well-respected eye surgeon in New York, where he taught ophthalmology at the New York Postgraduate Medical School and Hospital from 1886 to 1891.He asserted that glasses do not alleviate vision problems, but like a cement crutch on the eyes, hamper the natural healing of the eyes. He stated that the over powered glasses cause our eyes to become dependent on our prescription lenses and thus the eyes tend to become weaker than they were before. Think of it like a crutch. If you put all of your weight onto one leg, and decide not to put any pressure on the other leg by using a crutch, eventually the leg that is being helped by the crutch becomes weak and experiences some form of degeneration in the muscle tissue. By naturally healing the eyes through the use of the Eye Kit, not only are you helping to preserve, and improve the vision that you have, but your are also working to ensure that your vision does not worsen due to your eyes dependancy on eyeglasses. The Eye Kit is an investment in the well being of your vision, and a means for you to gain the ability to properly train, nourish, and strengthen your eyes. Take formulas and preform exercises daily along with a modified diet that is provided in the instructional booklet.